Qiao was born and raised in China. She is a private tea collector and enjoys sharing her knowledge about the Chinese tea history, culture, art and flavors, also loves the process of discovering of excellent teas, particularly, Puer. Over the years, Qiao has found many kinds of high quality and affordable Puer for Teahouse Kuan Yin and other teahouses and offered Puer tasting. 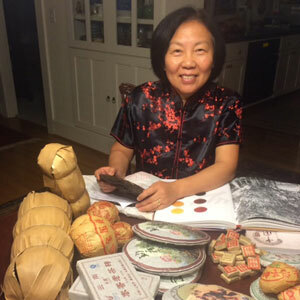 She will conduct a small workshop on Puer history, production and types at this year's Northwest Tea Festival and look forward to sharing her passion of tea.